Put your little one’s feet into clouds of softness with these fully terry cushioned Falke Sleepy Cloud Catspads. The super soft, yet durable, cotton rich blend ensures protection, warmth and breathability in equal measures, with reinforced stress areas for better wear. They are also very cute to look at, with dreamy snow cloud characters at the ankles. 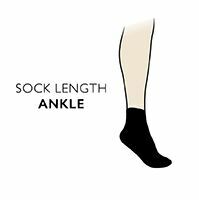 Falke Cotton Catspads Socks give a perfect fit and hold, with gentle elastane bands in the decorative-edged cuffs. They also have comfortable pressure-free hand linked toes for smooth seams, and non-slip star pattern grip soles to help baby’s first steps be safe ones.